You get competent and friendly advice from our department “DryTec” for all your questions regarding vacuum and freeze drying technology. We are specialized not only in the production of laboratory freeze dryers, but also in the production of large plants. 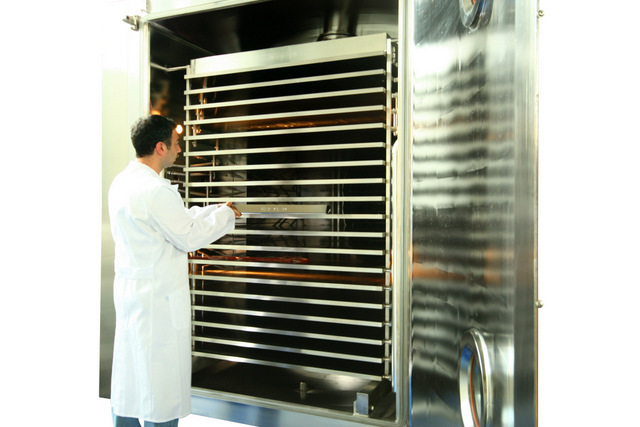 Zirbus technology was the first company worldwide which developed and produced a freeze dryer with a nitrogen cooling. To this day we delivered our high technical freeze dryer worldwide to our customers in different branches. Zirbus became one of leader in developing components for special freeze drying tasks acoording to the customer’s needs. We offer for production freeze dryers or lyophilizers special loading systems according your needs.